The use of codecs is what makes VoIP possible, running not only smoothly, but consistently. Voice Over internet Protocol uses computer algorithms called “codecs” to convert the voice signal from your telephone into a digital signal that is then transmitted over the internet. If you are calling a regular telephone number, the signal is then converted back on the other end by switches that are near your terminating phone. This is why every call is a local call with VoIP. If you are calling another VoIP phone, the extra bandwidth allows for higher-quality audio, and even video and multi-way conference calls. There are a vast number of codecs that make VoIP work – each with their own function. One of the most common coded is the G.711 codec, which samles audio at 64,000 times per second. To create a visual, think of this Voice data being processed multiple times and compressed into a small fragmented package, then reassembled once it reaches the caller on the other end of the line. Codecs typically vary in sound quality based on computational requirements, available bandwidth, etc. 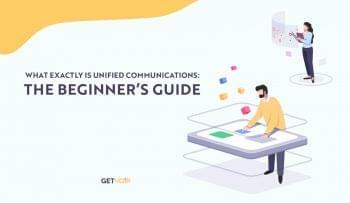 In a cross section of various services, platforms, phones, or other element that contributes to VoIP, one can find various different codecs – each device supports it’s own roster of codecs. In the event those two devices are communicating, they will negotiate as to which codec(s) will be used to best make a transmission. The alternative to circuit switching, packet switching optimizes your conversations over VoIP to an “as needed” basis. In other words, silent intervals or dead air are mitigated in transmission or not sent at all. Data networks simply send and receive data only when necessary. Through this method, a brief connection is opened up, which sends chopped data into small packets, tagged with a small address indicating where they should be sent. Inside of each of these packets, you will find a payload – the file being transmitted that is most crucial. Once sent to the router, it is transmitted from as many different connections as needed, until it finally reaches the receiving computer or device. The journey is complete, and the packet begins to transmit instructions as to how to reassemble the disparate data into it’s desired conveyance. Since packets can be broken down and reassembled rather than stay in one piece, it is much more efficient—and therefore cheaper—than using a traditional phone system. Additionally, packet switching frees up the ability for computers to handle other tasks while packets are being transmitted. Analog Telephone Adaptor (ATA): With an ATA, you hook one end up to your existing telephone and the other to your cable modem. The ATA converts the voice signal into digital data, which is then sent along the internet until it reaches the called party. ATAs are the most simple way to convert over to VoIP, requiring you to plug your old phone cable (RJ11) into the ATA from the device you’d like to convert, while running an ethernet cable from your network to the adapter (see diagram). Once you have powered on the ATA, you’ll be equipped to make voice calls over the Internet. [note: Setup will sometimes require installation and setup through software included with the ATA. 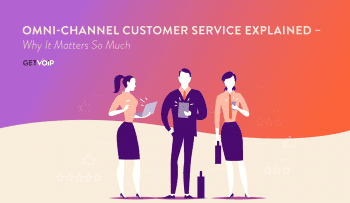 Soft Client: The most popular applications are Skype or Google, which leverage web-based platforms as opposed to actual hardware (besides the hosting device). The technical term for these kinds of devices is a “softphone,” because in the purest of forms, it is the compounding of software into the function of a phone. Many providers offer soft clients as auxillary or backup calling platforms, essentially sharing the same line when in use as your desktop phone, for instance. These clients are not limited only to desktops or laptops, as they’ve found their way onto VoIP ready devices like smartphones and tablets. 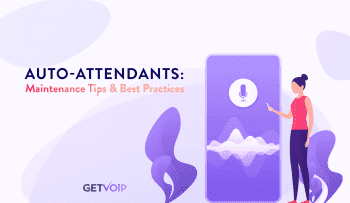 Leveraging existing features of the host platform (such as cameras, built-in microphones, etc), softphones have gained popularity as a dependable, and at times, preferred method for making VoIP communications work. IP Phone: The third way VoIP works is through dedicated “IP Phones”, designed specifically for VoIP. Instead of using RJ-11 phone connectors, IP phones use RJ-56 Ethernet connectors to plug into the web. Most IP phone connects directly to your modem or router, with newer and advanced models even connecting to networks wirelessly. Aesthetically, most VoIP phones closely resemble traditional phones (12 digit keypads, handset, cradle) with capabilities that far exceed those of their predecessors. IP phones take full advantage of internet connectivity, providing real-time reports on incoming calls, detailed call logs, and more. The rapid progression of IP Phone development has been fueled by companies like Polycom and Cisco, who have integrated videoconferencing into VoIP calls via built-in or mounted cameras, along with a multitude of new developments and applications that are in full swing or still on the way. VoIP Provider quality and ratings vary across the board, with many services offering their own engine for making calls. For detailed reports from our expert team as well as consumers, be sure to consult our VoIP Reviews page to ascertain exactly what you’ll get with a particular subscription.